For many, the approach of Autumn heralds a return to school and a reminder that another Summer holiday season has come and gone. But you could still use tea at school or work to create a daily escape. A travel cup, ceramic tea mug, glass gongfu pot, or yixing pot can help give you a moment of luxury. Why Tea At Work Or School? A few minutes with a good tea gives us time to catch our breath and clear our minds. Tea also contributes to healthy hydration and daily water intake. It is easy to get busy at a desk and forget to drink the water your body and brain need . Depending on the kind of tea, tea can provide a brain boosting combination of caffeine and theanine . Together, caffeine and theaine are a powerful duo for alert concentration. Loose leaf teas are convenient too. A good quality tea, when used well, can be steeped faster and more times than a teabag. Cleanup with loose leaf means not bothering with a dripping, soggy teabag. And quality teas (like our award-winning teas) just taste better. Explore our range of Great Taste Award winners to find teas that will suit the season or your mood. What Tea Ware To Use? Travel cups are compact and great for on-the-go. These tea tumblers are versatile, serving as a teapot, or drink straight from the tumbler in class or at the office. A ceramic tea mug scores high on convenience and easy cleanup. The mug includes an infuser and lid, and the infuser rests on the upturned lid or the saucer when not in use. It even comes in several beautiful styles. Find your favorite tea mug. 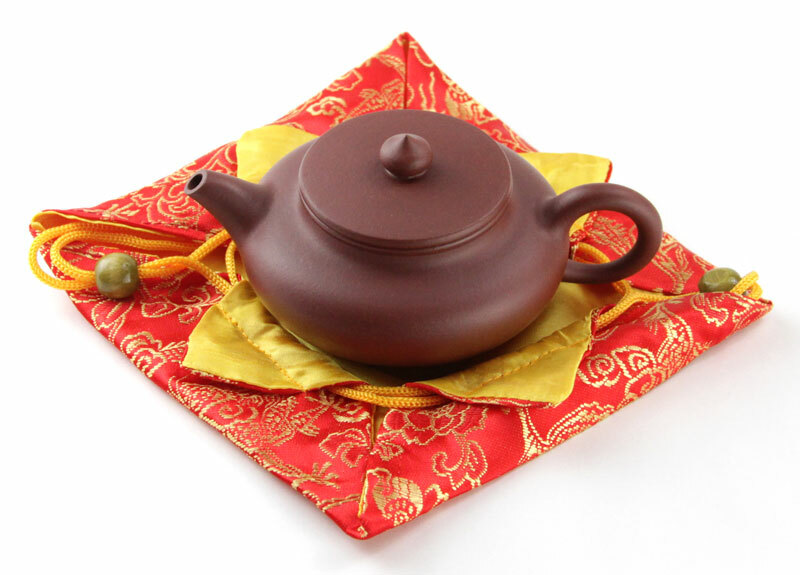 The gongfu tea pot features a compact design and push-button steeping. Add tea leaves and water to the infuser basket, then press the button on the lid and the tea drains into the pitcher below. The 500mL size means plenty of tea to drink from one steeping. And the tea leaves remain in the basket, ready for next time. Easy cleanup and dishwasher friendly. View our gongfu pots and travel mugs. For a greater touch of elegance, try an yixing teapot. A BianYing yixing pot makes a great display item and conversation piece. Yixing pots, when dedicated to a particular type of tea, (like tieguanyin oolong ) are known to enhance the tea's character. Cleanup of a clay pot means a quick rinse to remove the used leaves. Explore our yixing pot collection. Most any WanLing tea would be suited for daily enjoyment, but our tieguanyins , oolongs , and pu'er can last through more infusions. 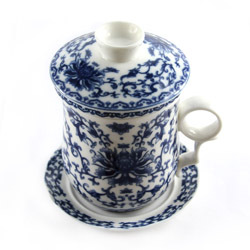 Tieguanyins stand up well to hot and cold steepings, and can be steeped multiple times. Oolongs do well under longer brew times, like when you get distracted or have to step away from your desk. With the right amount of pu'er, you can do many brief steepings. It can outlast most any other tea (in terms of re-steeping), and each layer of infusion reveals subtle changes. New to tea, and need more info? Visit our New To Tea section. Find our newly-arrived green teas.